Powerful portable printer that can withstand up to 5 ft drops. 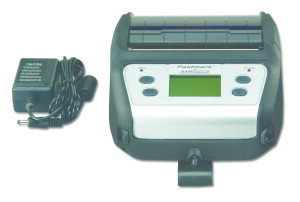 The Fastmark M4 is a rugged mobile printer ready to handle a wide variety of applications, from Healthcare to Warehousing, from receipts to barcode labels. Ready for use with PAL Plus1, ZPL, Droid APP & SDK, WinCE Quick-link tool & SDK, and iOS SDK.